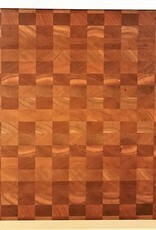 Chefs and "Foodies" choose to cut on end grain cutting boards because of their strength and durability. 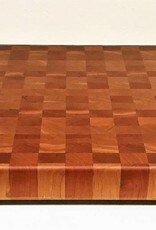 The end grain will not dull the edge of your knives and will show little to no knife marks. 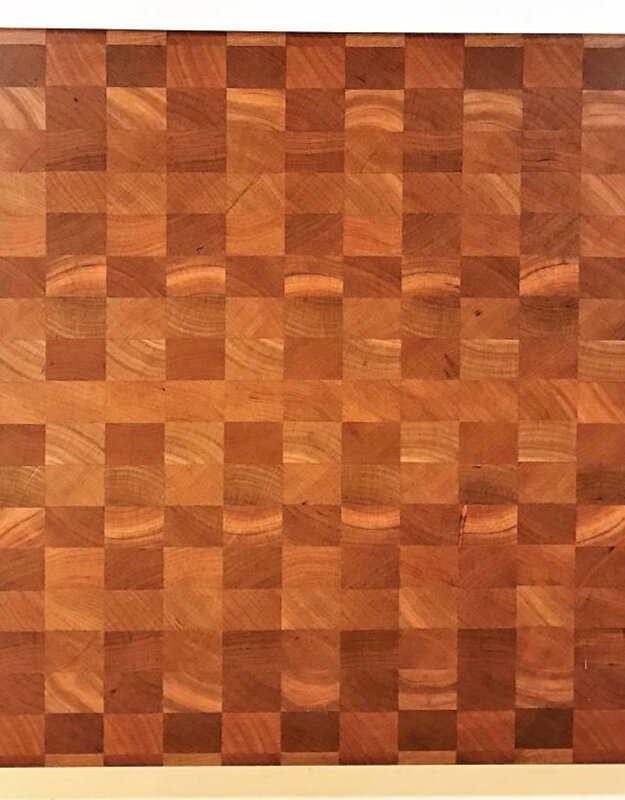 Richard Rose Culinary Cherry End Grain Cutting Boards have silicone feet to keep the board in place and to prevent liquid accumulation under the board. 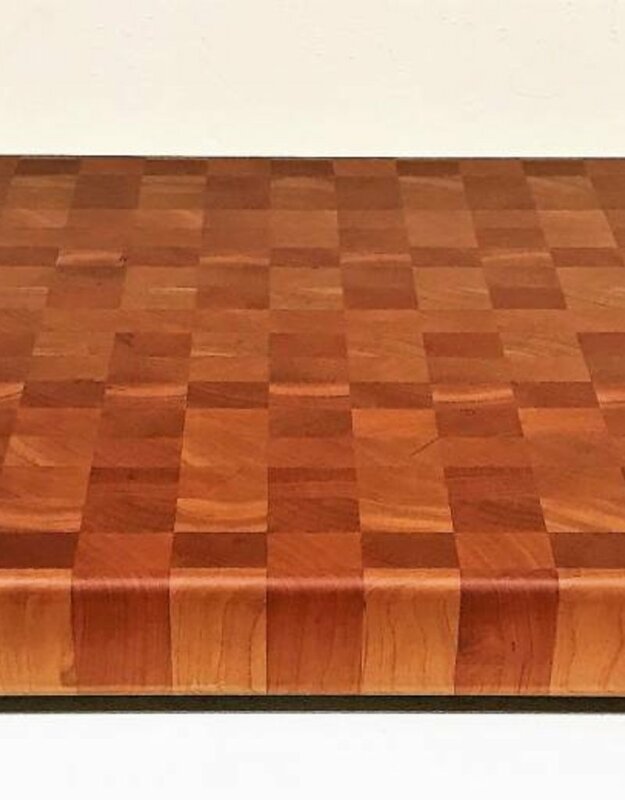 This is a beautiful, functional cutting board and has been seen on several "Food Network" and "The Cooking Channel" shows. Cherry works well with "reddish" cabinets and will contrast well with light or dark counter tops. Add a Juice Groove to collect meat juices, if desired. Available in many sizes to fit any size kitchen and need. 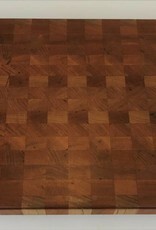 Cherry will darken over time to a deep, rich and beautiful patina. 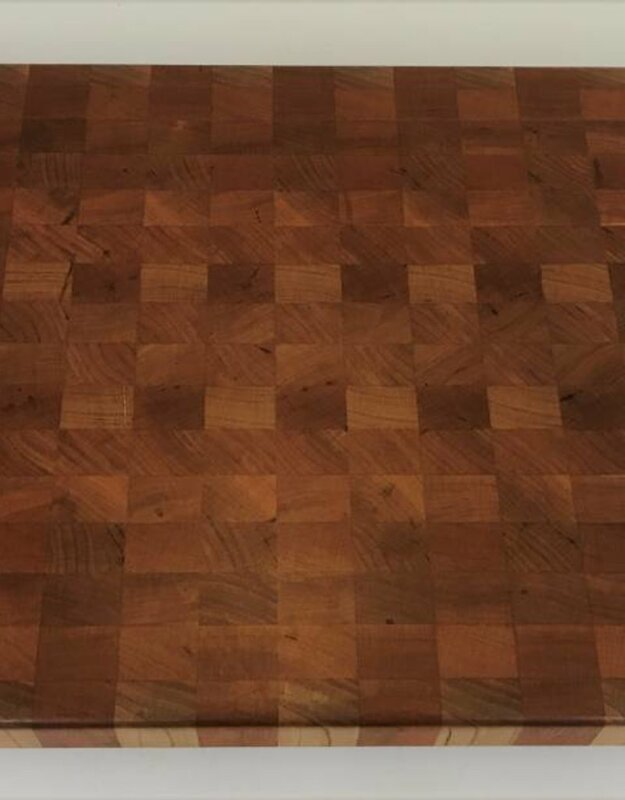 Design, color and size will vary slightly as each piece of wood is different and each board is handcrafted. 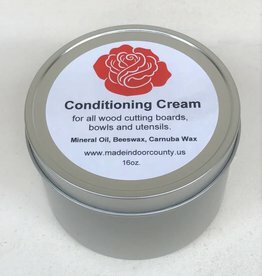 Don't forget Richard Rose Culinary Conditioning Cream to keep your board looking amazing!